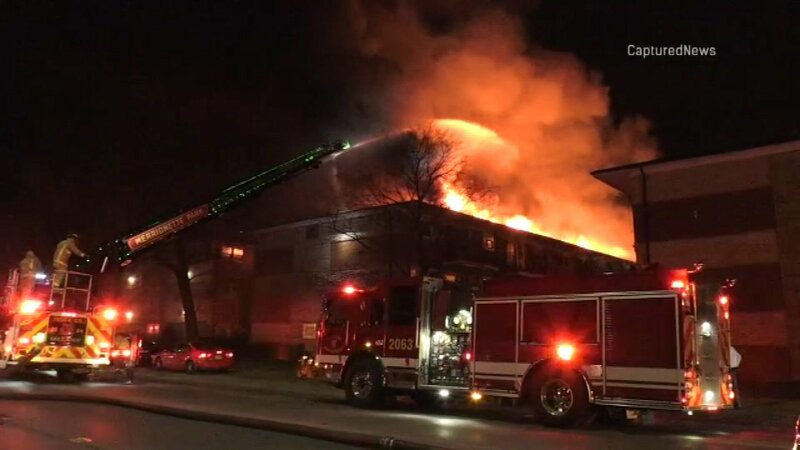 CALUMET PARK, Ill. (WLS) -- A fire ripped through an apartment building in Calumet Park Friday night. Officials said everyone got out of the building in the 1100-block of West 127th Street safely and warming buses are at the scene. The roof of the building has collapsed. Firefighters reported problems with hydrants near the apartment building, and are using one several blocks away in Chicago.